You’ve dutifully hit the library, studied for months, and are finally done with the LSAT! Now what? Should you just watch your favorite TV shows and chill out on the couch? Yes, for the first few days. You should absolutely celebrate the fact that you’ve just taken one of the most challenging admission tests out there. But after that, it’ll be time to get back to productivity. 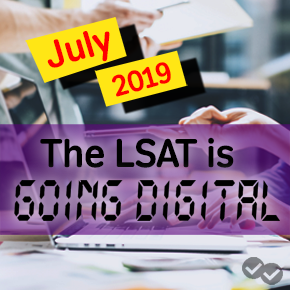 This post outlines the things you can do in the next few weeks to move your applications forward, even without your LSAT score. One major benefit of getting the LSAT over with is that you now have a sense of what schools are realistic for you. You might not have an exact score back, but you will generally know how well you performed. You can plug numbers into law school predictors and compare where you stand against other candidates. 2. Finish (or start!) your personal statement. While waiting for your LSAT score, you’ll have a solid amount of time to work on your personal statement. Ideally, you’ll have done some upfront work already for this, but if not, now’s the time to get started. Your personal statement is one of the most important parts of your application at this point – it’s a chance for law schools to see how you think and communicate, and it’s something you still have complete control over (unlike your GPA and LSAT!). Check out our post for tips on how to ace the personal statement. 3. Polish up any essay supplements or addenda. Essay supplements are often specific to individual schools, so after doing more research, you can start narrowing down which prompts you’ll need to answer. We strongly encourage you to take advantage of optional essays like diversity statements – they help add another dimension to your candidacy. Don’t leave these out from your application file! If an addendum is called for (to address low grades or other red flags), use this time to write it. 4. Make sure your resume is up to par. With all that focus on your essays, it can be easy to forget about the resume. Your resume should provide your major positions and accomplishments in a clean, easy-to-read format. If you have any questions about how to impress admissions officers with your resume, your college career center is a good place to start. You can also check with a mentor, professor, or supervisor. Don’t forget, you can leave us a note in the comments with any questions, too! 5. Follow up on letters of recommendation and transcripts. Remember, you won’t necessarily be handling these parts of your application (your letter writers and school registrar will). However, you’ll still be responsible for getting them in on time. Now that the LSAT is over, you’ll have much more time to be tracking the status of these components. Send a quick email (or walk up in person!) to ask how things are going. 6. Keep up with your LSAT skills. Feeling like your test day performance just wasn’t what you wanted? It might be worth considering retaking the LSAT. Keep your skills sharp by running through a few daily practice questions in logical reasoning, logic games, and reading comprehension. 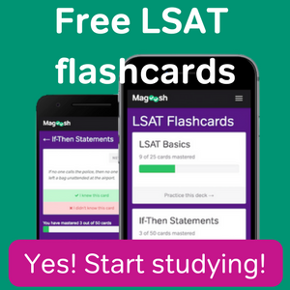 You don’t need to make an event out of studying until you have your score back, but it will be good to exercise your “LSAT brain” in case your score really does call for a retake.